There is always a lot going on at the Library, so be sure to visit our website, Facebook page, Google+ page, and Twitter page often to keep up-to-date! Did you know we have 20 other email newsletters? They are packed with suggested books, DVDs, events, and more. You can sign up, or read the most recent issues of each, by clicking on the titles on this page. 102 programs in conjunction with the statewide initiative, Viva Florida 500, which commemorated Ponce de Leons arrival in the Americas. Hosted best-selling authors like Tim Dorsey and Mary Jane Clark during the Writers LIVE! series. Hispanic Heritage Month festivities kicked off with a Food Truck Fiesta and mariachi music. Trained pre-school teachers who taught 400,000 preschoolers last year. PBCLS enrolled 10,000 Palm Beach County residents in the Summer Reading Program and taught 1,700 computer classes. Richard Mott, FLA Awards Committee Chair, said, "Innovative, responsive, diverse, inclusive PBCLS truly has something for everyone." PBCLS also received the FLA Public Library Website Award for its new website and web catalog launched in Apr 2013. Mott said the website was selected because, "The user experience was enhanced in many ways, including limiting library jargon, offering easy search options for both the website and catalog, and the clean, modern look that is uncluttered, aesthetically appealing and easy to use." Patrons of all ages are invited to join our "Fizz, Boom, Read!" Summer Reading Program, which runs from Jun 09 to Aug 01 at all Palm Beach County Library System locations, including the Bookmobile. Our programs and special events will encourage you to power up with reading and see what you can discover through books. 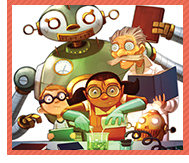 Experiment, explore and have a blast at your library this summer! Adults, 18 years and older: Sign up for a Summer Reading Program packet including a Reading Log and a bookmark. Then read or listen to five or more books, eBooks, or audiobooks. Afterwards, bring your completed Reading Log to your local branch and receive: a travel umbrella, a voucher for two tickets to the Jupiter Hammerheads versus the Tampa Yankees baseball game at Roger Dean Stadium on Fri, Aug 01, and a chance to win a special prize! Everyone: Attend special parties and programs throughout the summer! Adults, children and teens can sign up for the program at the science laboratory booth and receive a "Summer Reading Superstar" yard sign. Post photos of you and your yard sign on our Facebook page or send them to us. *All materials, give-aways and prizes, while supplies last. This high-energy interactive show will have you gasping in awe at juggling feats from simple scarves to clubs and more. Everyone learns the secrets of juggling! All ages. (45 min.) Call or stop by the location of your choice to preregister. Dont miss the comedy and amazing magic of James Changefield, featuring juggling and lots of audience participation. All ages. (45 min.) Call or stop by the location of your choice to preregister. The Amazing Mr. A discovered the wonderful world of magic at age 10 and has been performing ever since! The show of this 4-time Florida State Magic Champion includes magic, comedy, ventriloquism and audience participation. All ages. (45 min.) Call or stop by the location of your choice to preregister. Starting Jun 01, 2014, children can spend time reading in the library, and earn "credits" to pay overdue fines on their library cards, purchase a replacement card, or buy a book bag (15 mins. = One Dewey Buck). The credit does not apply to charges for lost or damaged materials. Children and teens up to age 17 can participate. To receive "Dewey Bucks," children must sign in with a Youth Service staff member who will record time. Any print media will be accepted, e.g. books, magazines and newspapers. Upon completing 15 minutes of reading, a "Dewey Buck" will be issued by library staff member. "Dewey Bucks" can be redeemed at the Library's circulation desk to remove overdue fines, purchase a replacement card, or buy a book bag. Fines must be paid first before any other purchase. This month, we'd like to share some information about two databases that are available at the Palm Beach County Library. 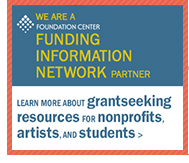 The first, The Foundation Center's Foundation Directory Online Pro, is available at the Main Library, Jupiter Branch and Belle Glade Branch, and includes information about U.S. grantmakers and their funding activities. The data is updated weekly and has information on over 120,000 grantmakers, over three million recent grants awarded, and over one million IRS 990's that are fully keyword-searchable. The Foundation Directory Online is a key tool for finding funding for nonprofit organizations. Using one database, users can search by area of interest, geographic focus, or another of 54 different search fields. They can email, print and save records and export lists of up to 100 search results at a time into a spreadsheet with a single click. At all library branches you can access the Foundation Center's Foundation Grants to Individuals Online. This product has been developed for students, artists, researchers, and other individual grantseekers, and includes almost 10,000 foundation and public charity programs that offer financial support to individuals. You'll find information on grantmakers that fund in the areas of educational support (scholarships, fellowships, loans, and internships), arts and cultural support, research and professional support, and general welfare. 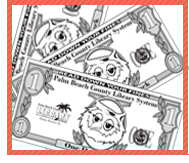 The Palm Beach County Library System is part of the Foundation Center's Funding Information Network, so in addition to the databases, we have all print materials included in their "core collection." For more information and to find more nonprofit funding resources, check out the Nonprofit Research page on our website. You'll also find a link to an Ask Us! page on the Foundation Center website where library users can either chat live or submit email questions to Foundation Center staff. If you like to listen to music to suit whatever mood you're in, check out the Songza mobile app. In contrast to many other music streaming services, Songza offers music based upon a variety of criteria that includes day and time, activities, and mood. Songza offers a menu of situations to choose from, then presents you with a playlist. You have the option of using the Music Concierge, which offers choices for that time and day. For example, on a Friday afternoon, the choices included music for Working in an Office, Keeping Calm and Mellow, Energy Boost, and more. Or, you can bypass the concierge and filter music by activities, genres, moods or decades. Within each category, there are dozens of additional filters. Under activities, there are dozens of choices that include Girls Night Out, Housework, Pool Party, Reading in a Coffee Shop, and Coding. Once a choice is made, a playlist is created. If you dont find anything you are particularly interested in, you can adjust the situation, genre, themes and even the time or decade to give you a better match to your mood. While songs are playing, you can give them a thumbs up or thumbs down, allowing Songza to customize your playlist even more immediately as well as for future listening. While there is some advertising on Songza, the ads are in the form of images and text (silent), so they are barely noticeable. Songza is a free app that offers unlimited listening, and is available for both iOS and Android devices. Books & Bytes is published around the beginning of each month. To unsubscribe from Books & Bytes, click on the "Unsubscribe" link at the bottom of this message. Books & Bytes is a publication of the Palm Beach County Library System. Copyright 2014. Enjoy your beach days and include some of these great reads. We've got eNewsletters for everyone! Check out some of our others. They're packed with suggested books, DVDs, and more. Did you know you can subscribe or read the most recent issue of each by clicking on the titles on this page? The Palm Beach County Library System has accounts at YouTube, Google+, Twitter, and Facebook! Click the logo for our pages there.